●DAVE POCHONET - LUCKY THOMPSON/CLUB SESSION N°IV【ｵﾘｼﾞﾅﾙ/BOOKなし】/LE CLUB FRANCAIS DU DISQUE/84J/B+/ｵﾘｼﾞﾅﾙ/ﾌﾗﾝｽ盤/MONO/ｼﾞｬｹｯﾄすれ･染み/ﾗﾍﾞﾙ染み小/BOOKなし//　sold out! ●DONALD BYRD/BYRD JAZZ【UK盤】/ESQUIRE/32019/B-/UK盤/MONO/FBｺｰﾃｨﾝｸﾞCvr./ｼﾞｬｹｯﾄ傷み有// sold out! ●JIM HALL/IT'S NICE TO BE WITH YOU【ｵﾘｼﾞﾅﾙ】/MPS/MPS15245/B/ｵﾘｼﾞﾅﾙ/ﾄﾞｲﾂ盤/STEREO/ﾋﾟﾝｸﾗﾍﾞﾙ/内ﾐｿﾞ/GFｺｰﾃｨﾝｸﾞCvr.//sold out! ●KAREL VELEBNY/NONET SHQ & WOODWINDS【ｵﾘｼﾞﾅﾙ/良好！】/SABA/SB15160/A/B/ｵﾘｼﾞﾅﾙ/ﾄﾞｲﾂ盤/STEREO/ﾋﾟﾝｸﾗﾍﾞﾙ/内ﾐｿﾞ/ｺｰﾃｨﾝｸﾞCvr./良好！// sold out! ●MICHAEL NAURA/EUROPEAN JAZZ SOUNDS【ｵﾘｼﾞﾅﾙ/STEREO】/BRUNSWICK/267912/A/B/ｵﾘｼﾞﾅﾙ/ﾄﾞｲﾂ盤/STEREO/GFｺｰﾃｨﾝｸﾞCvr./概ね良好// sold out! ●V.A./JAZZ IN BASEL '69【ｵﾘｼﾞﾅﾙ】/SWISS JAZZ/SJLP6309/B+/ｵﾘｼﾞﾅﾙ/ｽｲｽ盤/FBｺｰﾃｨﾝｸﾞ/sold out! ●BENNY BAILEY / SERENADE TO A PLANET / 4004 / / 盤質： B/オリジナル盤/ﾄﾞｲﾂ盤 / sold out! ●FRITZ PAUER / WATER PLANTS / 4007 / / 盤質： A/オリジナル盤/ / sold out! ●JOE HAIDER / AND HIS FRIENDS / CAL30618 / / 盤質： B/ﾄﾞｲﾂ盤/ / sold out! ●JOE HAIDER / KATZENVILLA / 287722 / / 盤質： A/ﾄﾞｲﾂ盤/ / sold out! ●JOE HAIDER / RECONCILIATION / 4001 / / 盤質： A/オリジナル盤/ / sold out! 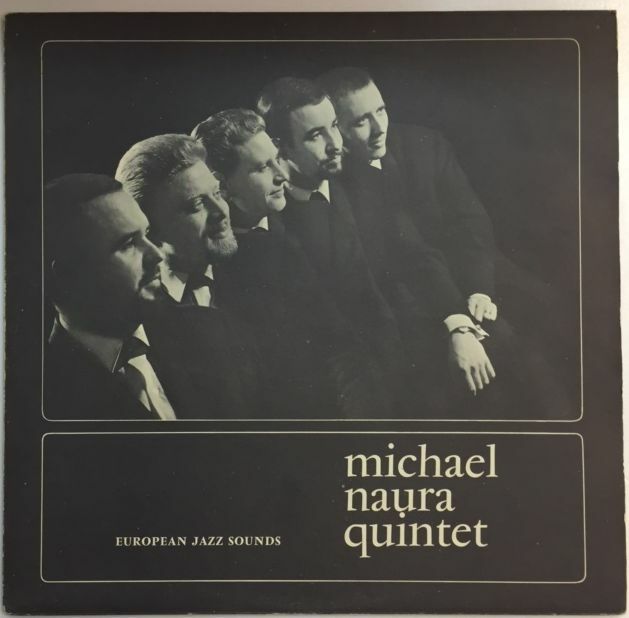 ●MICHAEL NAURA / VANESSA / ECM1053 / / 盤質： A/オリジナル盤/LCなし / sold out! ●NATHAN DAVIS/ERLING / SUCH PRETTY PEOPLE / LP857215 / / 盤質： B// / sold out! ●SMOKE / SMOKE / 12003ST / / 盤質： A/盤A/B/ﾄﾞｲﾂ/青 / sold out! 10/18(日)新着中古CD100枚以上放出します！！！ サントラ、映画も公開され大評判だった「Monica Z - Musiken Fran Filmen」のアナログが登場! !